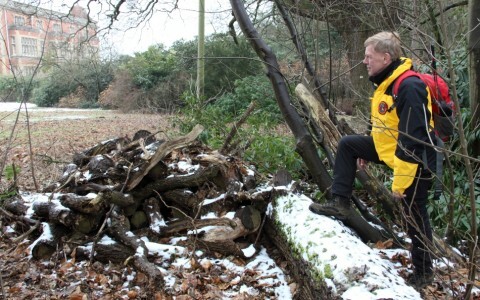 “It’s mountain rescue without the mountain,” explains Kris Manning, as he reflects on 27 years as a volunteer member of Berkshire’s Lowland Search and Rescue (SEBEV) team. While Berkshire’s flat and open downs and areas of dense population are a far cry from the Scottish peaks or the wilds of Dartmoor, it is vital for search and rescue (SAR) teams to know where they are at all times. Kris and his team benefit from using ViewRanger, a mapping and navigation app which is used by SAR teams across the UK and overseas. By day, Kris is an IT manager at a computer firm. In his spare time, he is SEBEV’s chairman and one of more than 60 people that make up the team. 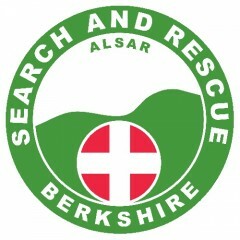 Formed 33 years ago, it is the UK’s oldest lowland SAR team and is staffed 24/7 by a team of highly trained volunteers. 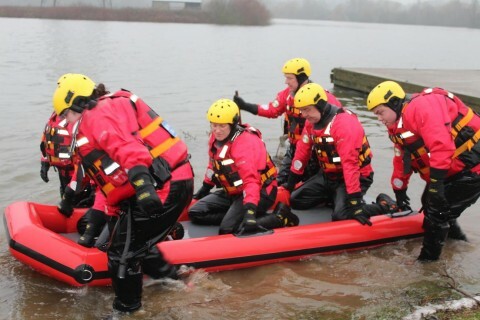 They play a crucial role in helping to find missing, often vulnerable and distressed people, or assist in times of flooding and severe weather. SEBEV typically deals with around 50 emergency call-outs a year, with around one in ten resulting in a “find”. The team work closely with Thames Valley Police, who contact members when their help is needed. Kris has taken part in countless emergencies over the years. He recalls: “One rescue that really stands out is that of an elderly gentleman with advanced dementia. The nature of his medical condition meant he was unsteady on his feet and wasn’t sure whether he was lost. “We were called by the police to help with the search and my team managed to find him, waist deep, in the waters of a nearby lake. We coaxed him out of the lake, alive and well, albeit a little cold. Kris has seen many changes during nearly three decades in search and rescue, including the adoption of GPS technologies and now ViewRanger. The app works by combining the GPS functionality of a smartphone with ViewRanger’s own tracking, navigation and location-sharing tools. Detailed maps can be downloaded and stored on the device for use even when there is no mobile phone signal. ViewRanger supports rescue teams worldwide by providing detailed topographic mapping to members of accredited mountain rescue and lowland SAR teams through its Voluntary Search and Rescue (VSAR) programme. More than 80% of the UK SAR teams benefit from participation in VSAR and the mapping is invaluable to volunteers who receive little or no funding to buy their equipment. Training on the use of ViewRanger is built into the eight week training scheme for new volunteers at SEBEV. During the course, entry-level search technicians learn how to use ViewRanger alongside traditional map reading and compass skills. They also learn a host of essential skills including first aid, missing person behaviour and scenes of crime preservation. Kris says: “We use ViewRanger from the earliest stage of training and it’s the only navigation app we recommend. It complements the traditional navigation skills that all new members must master by allowing them to verify their position on the map. Kris adds that his use of ViewRanger is not just limited to his SAR work.